A motorized charcoal chicken rotisserie! 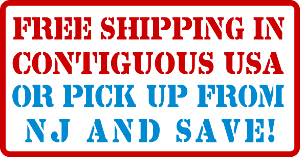 Free UPS ground shipping in lower 48 States but not available for local pick up. This item ships free via UPS Ground, local pick up in NJ is not available. The Rotisserie Barrel is a revolutionary way to cook rotisserie chicken over charcoal. It is based on a 30 gal. steel drum which surrounds the meat all around. The drum protects the flame from wind and the meat from outside contaminants but its most important function is to uniformly reflect heat generated by charcoal onto the meat inside the drum. This obviates the need for extra wind shields, ensures incredibly even cooking, saves charcoal, and greatly expedites the roasting process while delivering tender juicy meats. Weeks of testing, hard effort, and scrutinizing attention to details were invested in all aspects of the Rotisserie Barrel design, from high temperature powder coating, to motor position, to charcoal ventilation, to rotisserie support. All this delivers an outstanding roasting performance. What was once a steel drum became a powerful cooking machine!